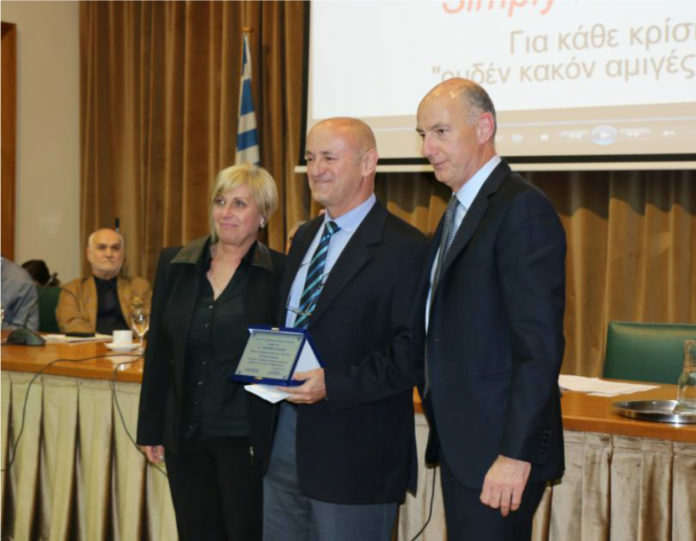 The Annual General Assembly of the members of the Piraeus Commercial Association at Greece was successfully completed on Monday, March 12th, with an honorary award to the President and founder of Lalizas, Mr Stavros Lalizas. The Board of Directors of the PCA discussed in detail the challenges, developments and enormous difficulties that have been created in the market within an overburdening, over-indebtedness and lack of liquidity environment. At the end of the discussion representatives of the business world were honoured for their contribution to the Greek market. Recognising, therefore, the dynamic and successful business presence of Lalizas, the Commercial Association of Piraeus awarded the company’s president and CEO, Stavros Lalizas. Stavros Lalizas, being a sailing enthusiast, he managed to create a leading corporation in the production and distribution of shipping equipment. In his speech, the president of Lalizas stated that despite all the adverse conditions he successfully met up the new challenges of the market by investing in technology, human resources, strategic investments, back-office systems, operations, logistics and production. «When I started sewing the first life jackets with my mother in 1982 at my childhood house, I had made the decision that this is what I want to do. The landmark year was in 2000 when our building was completely burned down. It was then when I began to rebuild the company and managed to reach a sales record. Three years later, in 2013, Lalizas acquires 4 foreign companies and expands its range of products. Today Lalizas has 5 factories in Italy, Bulgaria China and Greece, trading in 129 countries worldwide and more than 120 account managers with total human resources of more than 500 people» stated Mr Lalizas.